Southern Conference tournament winds down with a question: will it remain in Asheville? The 2017 Southern Conference men’s and women’s basketball tournament winds down tonight at the US Cellular Center with the men’s finalists – squads from UNC Greensboro and East Tennessee State University – battling it out for a victory and the opportunity to move on to compete in the NCAA men’s basketball tournament. It’s been another great run for an event that pumps an estimated economic impact of $3 million to $4 million as the teams from 10 Southeastern colleges and their fans come to town for a weekend of basketball. Simply put, “Asheville is home” to the event, says Demp Bradford, executive director of the Asheville Buncombe Regional Sports Commission. The event, which first arrived in Asheville in the 1980s, has been held each year in the mountains since its return in 2012. In an agreement with conference officials, it is scheduled to stay in the city through 2021. The N.C. General Assembly’s passage last year of the controversial so-called “bathroom bill,” also known as HB2, could change that. As the event winds down in Asheville’s US Cellular Center tonight, the question is: will the Southern Conference tournament stay in Asheville? The short answer is that conference officials and university presidents will meet after the tournament to talk about how it went and reassess. This year, the event is the only Division I men’s and women’s basketball tournament in the state. That’s because the NCAA announced last September that it was moving all of its tournaments out of North Carolina in protest of the bill that limits the legal protections of transgender people. The Atlantic Coast Conference followed suit a couple of days later, pulling all of its events from the state. Southern Conference officials swung into action, as did local elected and civic leaders in Asheville. Bradford says he held a four-hour-long meeting with members of the LGBTQ community the day before another meeting that included representatives of LGBTQ groups, local elected officials and other state and local leaders. “It was a meeting where everyone’s opinion was respected, and we were able to walk out of that room with a message to SOCON presidents that Asheville wants you here,” Bradford says. “It was one of those wow moments that day. It was a very good meeting. I think we have more discussions like we did that day, we could solve a lot of problems,” he adds. After that meeting, university presidents held a conference call, talked the issue over, and decided to keep the games in Asheville this March. 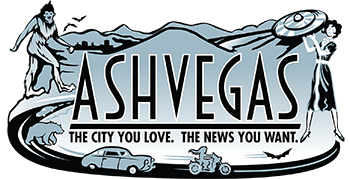 But never everyone likes that idea, as the Asheville Citizen-Times reported in a story Sunday. Since the first day after passage of the controversial bill, people have debated whether or not moving or canceling events in North Carolina was the best, and most fair, way to protest. Bradford maintains the argument that Asheville is different that North Carolina, that the mountain metropolis is an open and welcoming community to all people. At an outdoor party featuring local musicians, food trucks and beer, and sponsored by Ingles Markets, Bradford noted that proceeds of the brew sales would benefit Blue Ridge Pride. Wither 150 volunteers and corporate sponsorships on par with bigger cities, Bradford stressed that the Southern Conference basketball tournament is a hometown favorite that enjoys strong support. Mission Hospitals has been a strong supporter, and programs such as the Downtown Dribble, which offered a free basketball, T-shirt and tickets to kids and their parents, sought to deepen connections with locals. On Monday night, local police, firefighters and military men and women will be honored with a special ceremony. “Our community really embraces this event,” he says. We’ll have to wait and see if the Southern Conference remains in town.